Government rules bar any company from holding more than 25% spectrum allocated in a service area and above 50% in a spectrum. Spectrum band cap helps maintain competition in the telecom sector, said Airtel. be the most efficient frequency available at present for transmitting 4G signals. Mobile operators in the country use various spectrum bands to provide voice and data services -- 800 Mhz band, 900 Mhz, 1800 Mhz, 2100 Mhz, 2300 Mhz and 2500 Mhz. Government rules bar any company from holding more than 25 per cent spectrum allocated in a service area and above 50 per cent in a spectrum. RCom shares its spectrum holding in 800 Mhz band with Jio but there is no known announcement or development of either on trading spectrum. "Airtel is not in favour of removing spectrum band cap," an official source said on condition of anonymity. An email query sent to Airtel received no immediate comment on the matter. The submission of Airtel is learnt to have been made to the Telecom Regulatory Authority of India (Trai) which is holding limited consultation on revising spectrum cap. The Department of Telecom, based on suggestion of an inter-ministerial group (IMG) on measures to resolve financial crisis in the telecom sector, had asked Trai to give its views on spectrum cap before government takes any policy decision on the issue. The IMG had recommended revising spectrum cap limit which would facilitate exit route for loss making telecom companies. Bharti Airtel had presented a similar stand in response to Trai's consultation paper on valuation and reserve price of spectrum in 2015, while Reliance Jio had favoured removing spectrum band cap. "Intra-band spectrum cap of 50 per cent should be continued for each band... Acceptance of any proposal to combine the spectrum bands for calculation of caps would lead to concentration of the spectrum in those bands, especially in 800 MHz and 2300 MHz band with one operator and therefore, will skew the market in favour of one operator," Airtel had said. It had justified the spectrum band cap saying that it has effectively served the interest of competition and the industry. "It not only avoids spectrum concentration in a particular band with a single operator but also enables others to acquire adequate/proportionate spectrum in every band," Airtel had said. Removal or raising of spectrum band cap will benefit Idea Cellular and Vodafone also as both the companies are in the process of merging their telecom business and the resultant entity will breach spectrum cap in some circles. 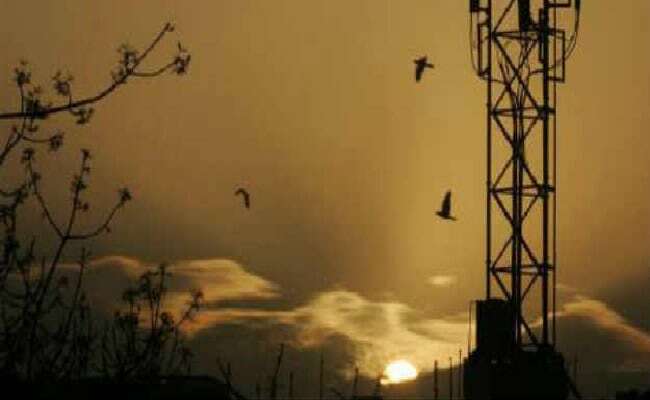 The combined entity, as per a CLSA report, under present norms will breach spectrum cap in 900 Mhz band in Maharashtra, Gujarat, Kerala, Haryana and UP West and in 2500 Mhz band in Maharashtra and Gujarat, it said. CLSA estimated that the excess spectrum which would need to be surrendered or sold off is valued around Rs 5,400 crore. Besides, for the merger both the companies will have to shell out Rs 5,700 crore for liberalising radiowaves that they were allocated administratively.